Ignite your passion for adventure! The Banff Mountain Film Festival World Tour will exhilarate you with amazing big-screen stories when it comes to Monterey Bay. Journey to exotic locations, paddle the wildest waters and climb the highest peaks. Get your tickets today and be taken away to the most captivating places on earth. See the best adventure, environmental and cultural films from the most prestigious mountain festival in the world. Get a taste of what Banff has in store here! 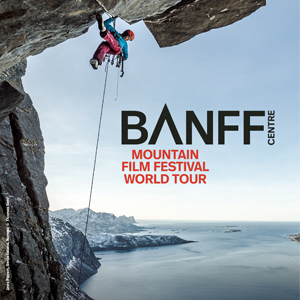 The 2016/2017 Banff Mountain Film Festival World Tour brings films from the 41st annual Banff Mountain Film Festival to over 400 communities around the world. Guaranteed to include death-defying stunts, cute animals, and thrilling adventures -- Banff brings the best of outdoor film to YOU. Be moved. Be inspired. Don’t miss out. This stop on the world tour is hosted by REI Marina. Proceeds from the ticket sales will be donated to Return of the Natives Restoration Education Project. Follow updates about this event on the Return of the Natives Facebook page.